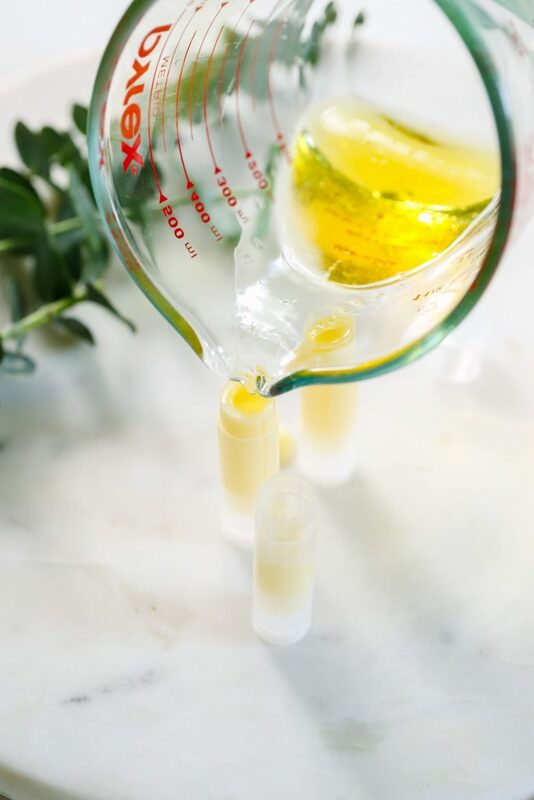 There’s more than one way to make homemade lip balm, and today’s recipe guide exemplifies this very truth! 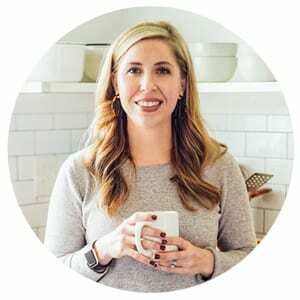 As a recipe creator and sharer, it’s so easy to create a recipe, fall in love with that one recipe (although there are many recipes that don’t make the “love list”–just ask Dustin ;)), and then share it here on the blog as the only recipe ever needed for that particular product. But here’s the beautiful thing about making products at home, with natural ingredients: there’s so much room for (safe) experimentation and customization. Once you have an understanding as to which ingredients are needed to develop a homemade creation, like a simple body wash (distilled water, or a hydrosol, and castile soap), there’s room to play around with different castile soap scents, various hydrosol options, and even extra complimentary ingredients, like a preserved aloe vera, honey, or an essential oil. There’s definitely more than one way to make a wonderfully simple body wash with your favorite ingredients. 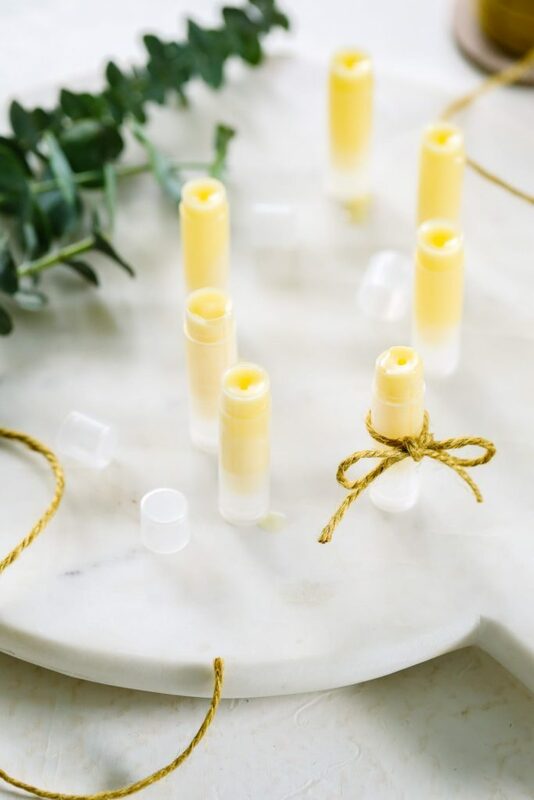 When it comes to lip balm, there are many different ways to create a soothing and nourishing creation. I’ll be sharing many of these options over the next couple of months, from a healing balm to a fun chocolate balm (you may just want to eat your lips<—that sounds all wrong!). 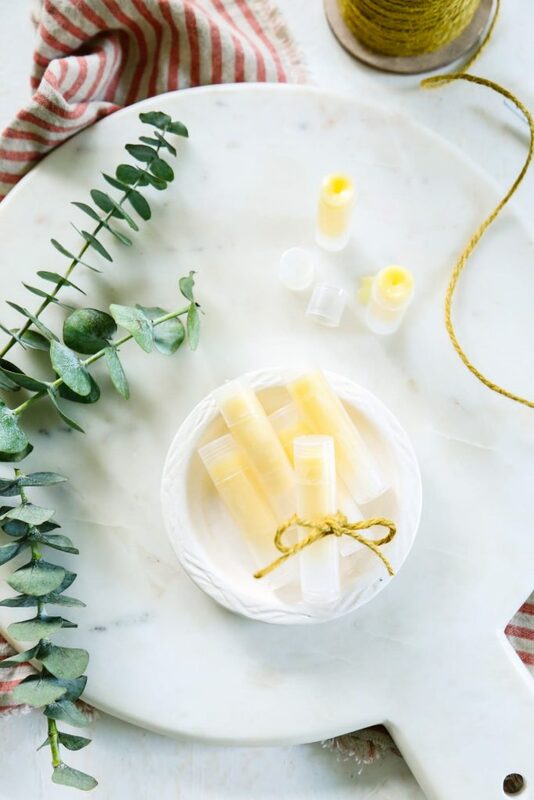 Before we make more specialty lip balms, let’s chat about a back-to-the-basics lip balm recipe that you can use to create a simple lip balm without all the glitz and glamour. 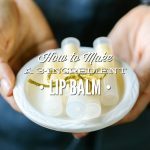 Today’s recipe is both a guide for customization and a measured recipe, because I’ve found that multiple ingredients may be used, depending on what you currently have in your do-it-yourself toolbox, to make a great lip balm that will soothe and comfort your lips this fall and winter. 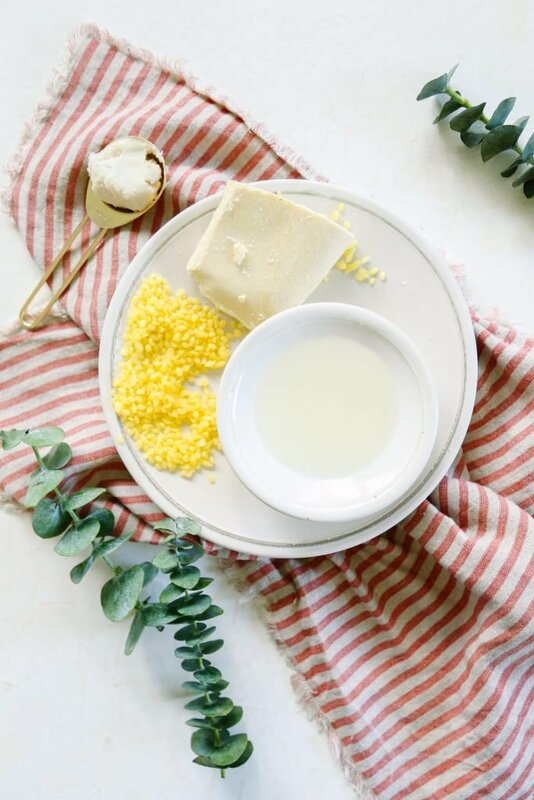 Body Butter: The body butter in this recipe provides much of the moisturizing relief that my lips crave in the drier fall and winter months. Choose the body butter you currently have on hand: cocoa butter (hydrating and rich in vitamin E, chocolatey scent), shea butter (rich in fatty acids, vitamin E, ultra-moisturizing), or mango butter (rich in fatty acids, ultra-moisturizing). 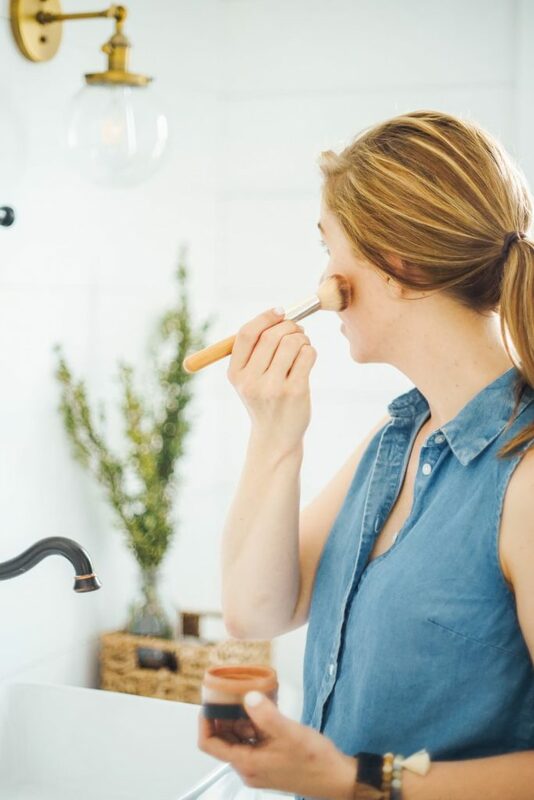 Nourishing Oil: If you’ve been around Live Simply for long, then you know that I’m a big fan of nourishing oils, also known as carrier oils, for the skin. Remember, healthy oil isn’t an enemy; it’s a friend! For this recipe, you’ll want to add a bit of oil with the body butter. My favorite oil to use in this recipe is almond oil, mainly because it’s what I have on hand, but also because it’s very light. Other options: olive oil, jojoba oil, and virgin coconut oil (yep, the stuff you use for cooking). Apricot kernel oil and avocado oil will probably work as well. I just don’t have any experience with these oils in lip balm. Beeswax: The beeswax is the glue that holds the oil and body butter together, and creates a solid product. Beeswax is also beneficial for the skin. Beeswax, a natural ingredient thanks to hard-working bees, provides a protective barrier to the skin, and may also help to soothe the skin. 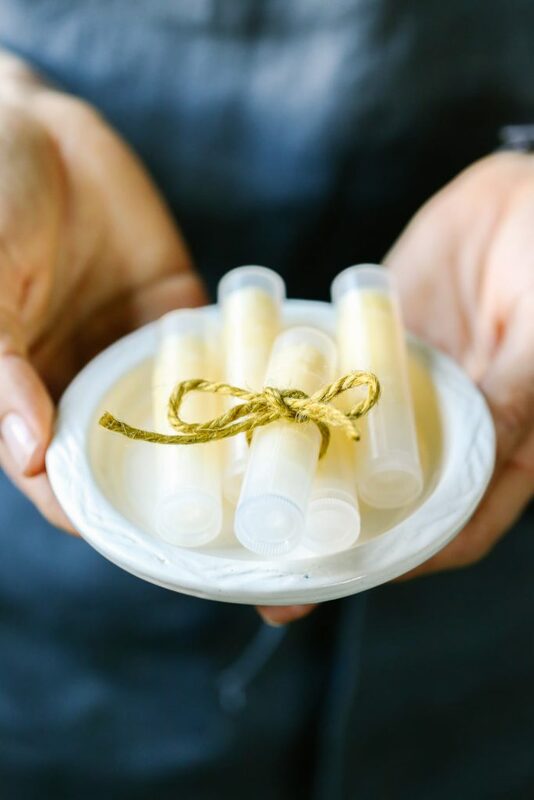 This recipe is both a guide for customization and a measured recipe, because I've found that multiple ingredients may be used, depending on what you currently have in your do-it-yourself toolbox, to make a great lip balm that will soothe and comfort your lips this fall and winter. 2 TB nourishing oil such as: olive oil, jojoba oil, almond oil, or virgin coconut oil. In a glass bowl, combine the butter of your choice, oil of your choice, and beeswax pellets. Place the glass bowl on top of a saucepan partially filled with water over medium heat. Heat until the beeswax and butter are melted, stirring occasionally. Turn off the heat and remove the bowl from the pot. As the mixture cools, the lip balm will set, so it's important to work quickly. Pour the mixture into lip balm containers (tubes or cases), and allow the balm to sit for a few minutes until formed. The lip balm will last for the life of the ingredients, generally 6-12 months. I’ve left the beeswax amount up to you, the creator. I personally like a firm lip balm, so I go with 3 teaspoons (10 grams)–due to the Florida heat. If you’d like a softer lip balm, then you’ll probably want to use 2 teaspoons (7 grams). This is a very basic lip balm. 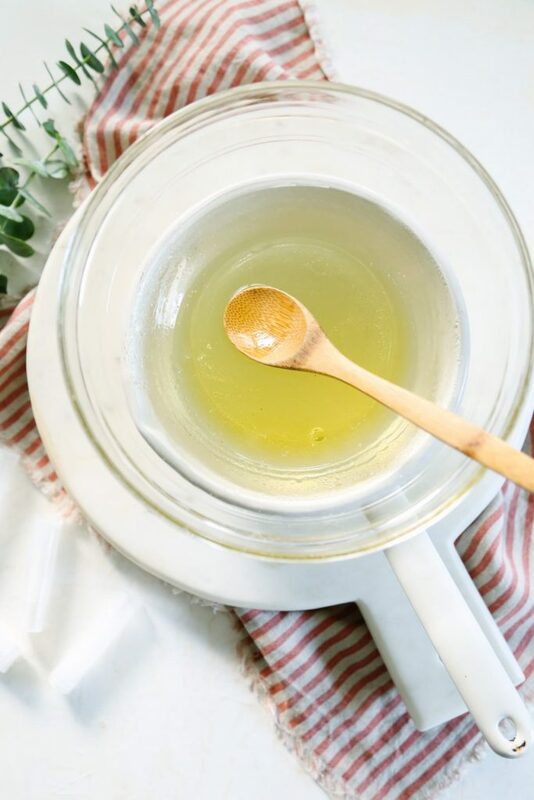 If you’d like something that provides more soothing/long-lasting comfort for lips, then you may want to add some vitamin E oil, or lanolin–see this recipe. My favorite combo at the moment is cocoa butter and almond oil. If you’d like to add a scent to your lip balm, add a few drops of a skin-friendly essential oil–just be careful with citrus oils since they aren’t considered safe to use in the sun. The lip balm containers that I used in this recipe are no longer available on Amazon; however, there are a ton of options over there. Other options: a clean mint tin (example), clean lip balm containers from store-bought lip balms. is lavender essential oil or jasmine essential oil okay to add for scent? Hey Serendipity, Lavender essential oil is my fave scent for lip balm. I believe jasmine essential oil will also work. I have some bronze mica powder. Could I add a little to this lip balm for a bit of color? Or would it change the consistency too much? Hey Moe, I’m not sure. I haven’t worked with mica in lip balm before. You could try adding just a small amount. How many drops of essential oil would you recommend for this? Hey Katie, I would add about 5 drops. Is there any way to add natural color to this lip balm? Sorry….had to post the question again .Problem with the computer. Just wanted to find out what natural colors can be used to make it pretty for presents. Hey Manu, Yes, you can! You’ll want to use alkanet root powder (available via Amazon), and then strain it from the heated liquid before pouring the lip balm into a container(s). It adds a subtle color. my lips are chapped. what should I do? Did you make the lip balm and your lips are chapped? i just wanted to know if these ingredients are safe to use for kids as well? Does this create a sticky lip balm or is it smooth and not sticky? Hey Edith, I don’t understand your question. Are you looking to sweeten the lip balm? Yes Kristin! :D. How can I do that?